Leo rising people have a warm, magnetic, dramatic flair – even more so, sometimes, than their Leo ‘Sun Sign’ sisters. You can’t fail to notice those with Leo on the ascendant, they really perform for the masses, treading out into the world with a roar that demands and commands attention. Take Leo Rising star Beyonce, for example. She has bags of stage presence and luscious Leo confidence! Depending on their other planetary placements, the ‘roar’ of a Leo Rising person might be louder and prouder than the follow up from them. The rising sign is how we greet the world and their theatrical entrance may fall a little flat if other planets are in a less bold, courageous constellations. In fact, if a Leo on the ascendant is really quite shy their Lion’s roar might scare even themselves! As the kings and queens of the jungle, the Leo rising style is to carry a regal air. These people will often finds themselves attracted to little crests, crowns and symbols of royalty. Golden touches and sunny, warm tones throughout their fashion work well. Jewellery and accessories can feature little Leo lion’s and be bold and dramatic. Born with Leo on the ascendant and you could well boast leonine features – that is, a cat-like appearance. Meow! You’ll wear honey hues and warm tones well, you’re the golden girl of the zodiac and orange, bronze and gold shade suit you so! 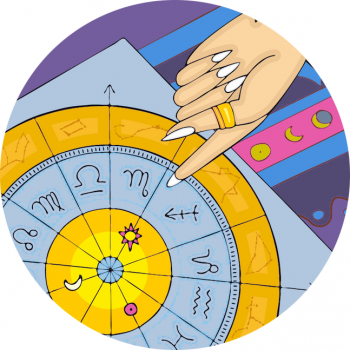 Back the astrology article: What Is A Rising Sign?